WHY CHOOSE DEEP CLEANSING FACIAL? 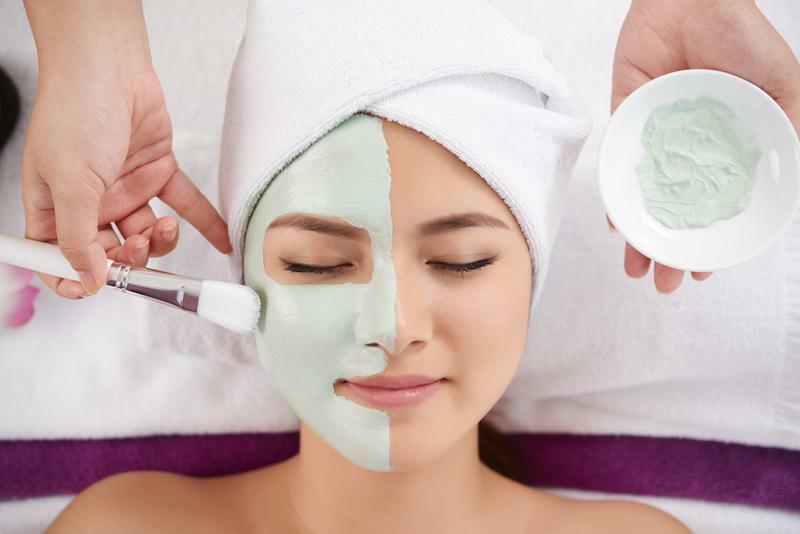 Your deep cleansing facial will begin with a facial scrub or a gentle cleanser containing a mild facial exfoliant to remove dirt and other impurities from skin surface. Once cleansing of face is done, the aesthetician starts with exfoliation process. Post-exfoliation, your skin is given steam that helps in opening up the clogged pores. After exfoliation and opening of skin pores, extraction process is started which removes blackheads and whiteheads. The aesthetician completes the process by applying a facial mask. Facial masks are available in different types and treat specific skin concerns. Your aesthetician will tailor the mask depending upon your skin condition post the massage. The mask is made to stay on your face for 10 minutes and is then removed using a warm towel. At the end of the treatment, a moisturizer is applied which keeps your skin moisturized and hydrated. Your face will have a glowing appeal after the first session. For more prominent & lasting results, you should opt for this treatment in every 6­ – 8 weeks. (Every patient is a unique individual and every surgery has unique aspects. Therefore no two procedures or rejuvenation treatments will get the exact same results. Individual results vary from patient to patient.) Aesthetics International holds years of experience in providing deep cleansing facials. The treatment is led by our skilled and proficient aestheticians.